You may have already heard of the dangers of forced air warming (FAW) blankets used to prevent hypothermia during surgery. But what you may not know is that these devices were approved nearly thirty years ago through the U.S. Food and Drug Administration’s (FDA) 510(k) premarket clearance program. This is important to know, because the 510(k) program allows products to enter the market if they are “substantially similar” to other FDA-approved products, offering faster approval for products while requiring far less evidence of their clinical safety. What Are Forced Air Warming Blankets? The device is approved for use in both adult and pediatric patients. Why Are Forced Air Warming Blankets Dangerous? Non-sterile particles. FAW systems have the potential to draw bacteria from the operating room floor. In addition, the water used to clean these systems may contain bacteria if drawn from public water sources. Tap water contains nontuberculous mycobacteria, which isn’t harmful to most people but can cause infections in patients with compromised immune systems—especially in patients undergoing cardiothoracic surgery. Bacterial growth. 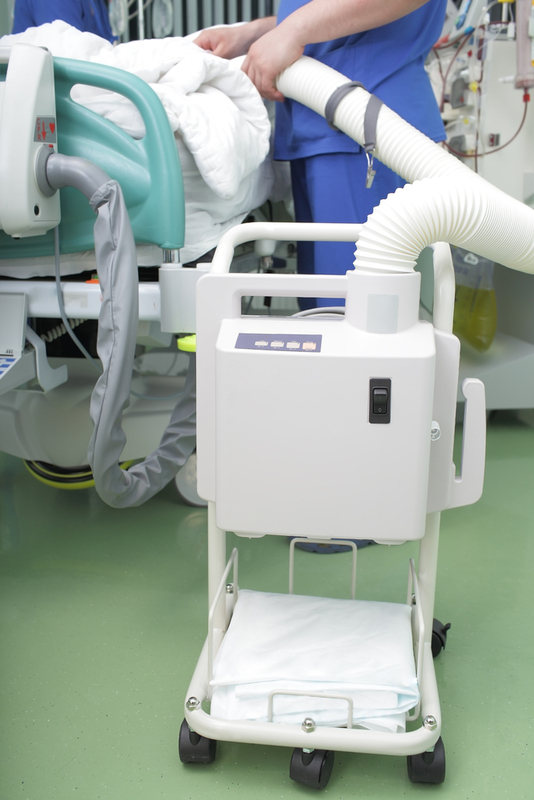 A FAW system may be composed of hoses, air filters, drapes, and clips—all of which may carry bacteria, especially if they’re stored on rolling carts wheeled into a variety of patients’ rooms. FAW systems usually operate at higher temperatures than electric or radiant warming devices, which create a better environment for the growth and survival of any bacteria introduced into the body. Wound closure. Bacteria allowed to enter and thrive in a wound may still be present as the surgical site is closed, trapping the bacteria inside the body. As a result, patients treated with FAW blankets were found to suffer higher rates of deadly deep tissue infections, including sepsis and methicillin-resistant staphylococcus aureus. Burns. When the hose isn’t properly attached to the inflatable blanket, heated air is no longer evenly distributed across the patient’s body. Some patients have suffered dangerous fluctuations in body temperature, as well as burns from the heated air flowing from the hose nozzle. Some medical professionals have even engaged in a practice called “free hosing” where forced-air warming is applied without the blanket. Passing a FAW hose over a patient’s body has resulted in first, second, and third degree burns. If an injury happens because of the use of a FAW blanket, patients can be placed on strong antibiotics in order to kill bacteria in the wound site. If the antibiotics are ineffective, then patients may be forced to undergo a second surgery or even suffer extensive tissue removal or amputation to cure the infection. Many of these individuals might be told that their infection was a risk of the surgery itself, rather than a side effect of the blanket used to warm them during surgery. For this reason, it’s important that patients who suffer severe post-surgical infections have the incident investigated as soon as possible. Contact the McGartland Law Firm today using our online contact form or by calling the number on this page. We work with victims in every state, and do not charge any legal fees unless we win your case. Can Forced Air Warming Blankets Cause Infections?